The launch of the new year brings Amadeus Hellas with a new App to update its network in Greece and Cyprus. The multinational company has used the Solutions Encodica IRISena platform to create the App “Amadeus Gr Cy” for iOS and Android devices. 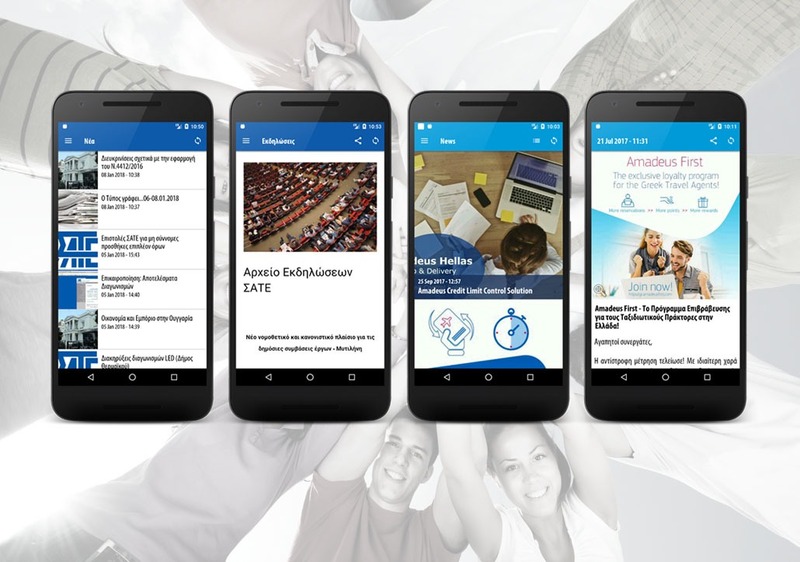 At the same time, the Association of Greek Contracting Companies (SATE), taking into account the ever-increasing need for direct and reliable information for the sector’s entrepreneurs and the wider world, used IRISena’s Solutions Encodica to create the “SATE” app.